Data logging is the measuring and recording of physical or electrical parameters over a period of time. Data loggers are used in a variety of applications such as in-vehicle data logging, environmental monitoring, structural health monitoring, and machine condition monitoring. Common measurements include temperature, strain, voltage, current, pressure, force, and acceleration. The advantage of Monad Electronics data loggers is that they can operate independently of a computer, unlike many other types of data acquisition devices. 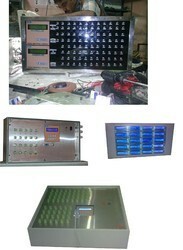 Data loggers are available in various shapes and sizes. The range includes simple economical single channel fixed function loggers to more powerful programmable devices capable of handling hundreds of inputs. Monad Electronics data loggers offer more than just the basic PC connectivity of traditional stand-alone data loggers. With a PC-based data logger, the PC is part of the system, so the data logger can take advantage of the ever-increasing performance of a PC’s processor, hard drive, display, and peripheral bus. These capabilities introduce several advantages over traditional data-logging methods. Data Loggers are available in both single and multi-channel designs. Some data loggers are capable of handling up to 256 channels. In many applications space is a limitation. In those cases the size of the data logger may be a critical selection parameter. Monad data loggers are offered in different sizes and include models for most input types. In comparison to real time data acquisition systems, data loggers generally have low sample rates. This is normally because they store data in internal memory which is limited. The higher the data rates the more memory required. Therefore when specifying a data logger it is important to determine the sample rate and the sample duration which can be used to calculate the required memory. For example, If an application requires sample rates of 1 per second and the test must last one hour, the data logger must be able to store 3600 samples(1 sample/sec x 1 hour x 3600 seconds/hour). In some applications it may be desirable to display the data being collected in real time on a computer. Certain data loggers from Monad support this feature.